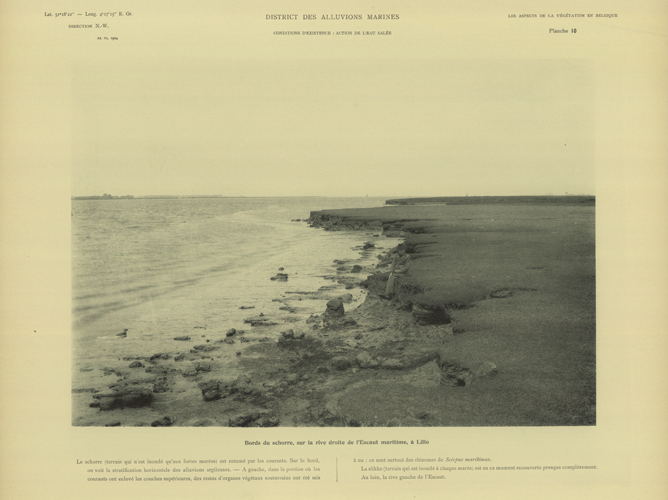 Charlier’s photograph from 1980 shows the situation after two decades of intensive expansion of port activities. 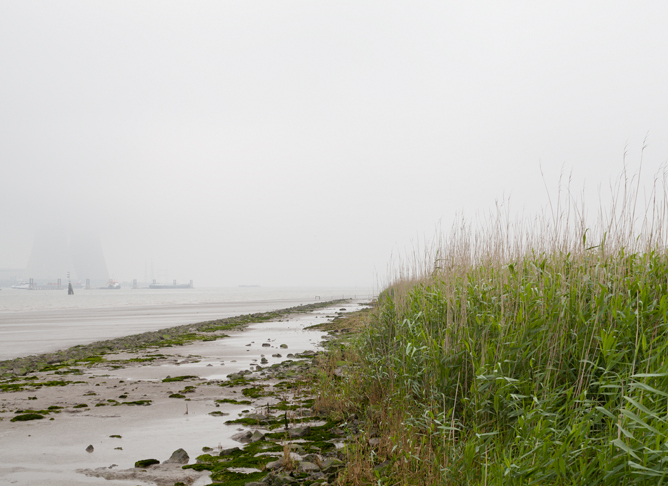 However, this can be better seen on the left bank of the Scheldt. 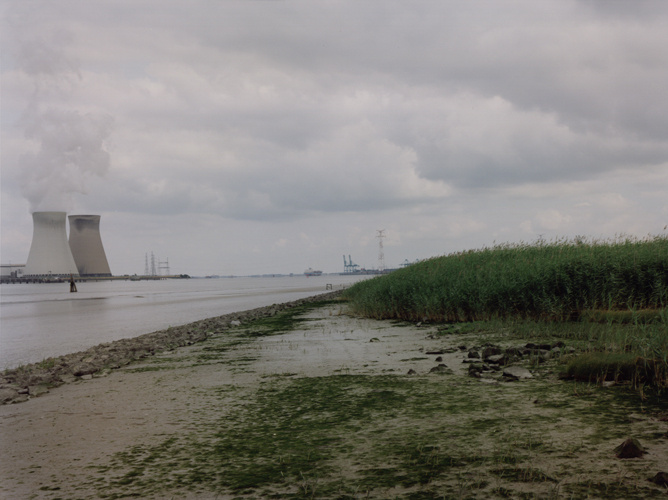 In Massart’s time, one could still see the Waas Scheldt polders and the village of Doel, two locations which had to make way for the harbour docks, industrial areas and a nuclear power plant. 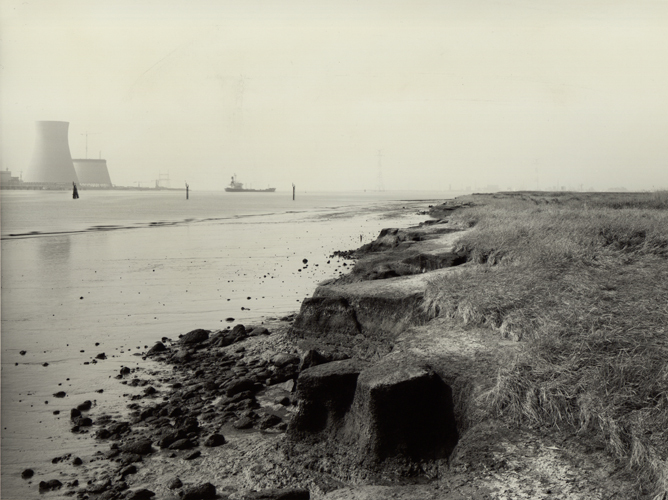 In 1978, a safety cordon was created – the ‘Bondt line’ – on the regional plans for the protection of Doel. However, this construction ban was modified in the 1980s. The results would not take long to appear. The oldest industrial site in Doel was the nuclear power plant. Construction work on the plant began in 1969 one kilometre north of the village. The plant consists of two 170m-high cooling towers and four reactors which were brought into use between 1974 and 1985. At the time of Charlier’s photograph, only one of these cooling towers had been finished.